Artwork Panel: 31.4cm x 86.5cm ≈ 12¼" x 34"
Silk/Brocade: 40.5cm x 147cm ≈ 16" x 57¾"
DISCOUNTED: This just has a small and minor silk flaw. Easy to ignore, so this is a real bargain to decorate your dojo on a budget. 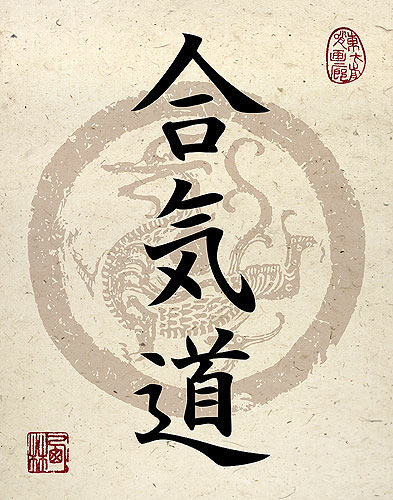 See our Aikido page for more custom Japanese calligraphy options related to Aikido.